Finding yourself without a Valentine this year? Don’t despair, Love To Love Ya is back! For the second year in a row, Honey and Moon Photography brings back our singles event designed to help you be sexier, smarter and less single! The famed Jesse James Madre of Pet Shop JC. Don’t worry, he’s not really sad, he’s acting! There’s nothing to be sad about at Jersey City’s cool AF neighborhood bar where you can get delicious veggie grub and then head on downstairs to get your groove on at Kitten Disco! On February 22, from 8 pm to 11 pm, Honey and Moon Photography will be at Pet Shop bar on 193 Newark Ave, in Jersey City, with some of your favorite Jersey City peeps to give you advice, styling tips and pick up tricks to help you find true love. After you get your drink, follow the light! 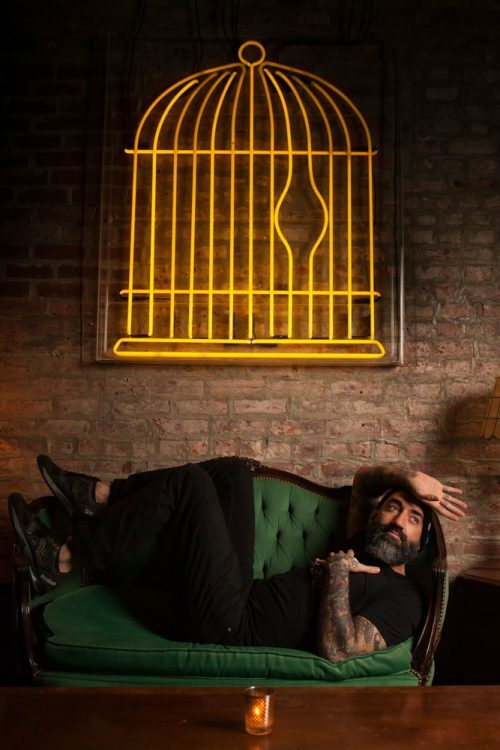 We’ll be offering 10 minute mini-sessions for online dating profile pix for $10 a pop so you can post them on Tinder, Bumble, Grinder or whatever other crazy stuff you kids are doing these days. Luca Cusolito of Creative Enabler will enable YOU to be your best flirty fiery self online! Go get ’em tiger! Is your Tinder profile a little lackluster? Buy Luca Cusolito a drink and she’ll tell you what she thinks. The entrepreneurial guru behind Creative Enabler is here to help. Perfect your pick up with a 1-on-1, identifying who you are, what you do, and how to be your sexiest self in your digital communications. Meika, along with her husband Warren, has been making Jersey City look better for years. She’ll be on hand to give personalized styling sessions! Meika Franz of Another Man’s Treasure vintage store will be offering classic styling advice, and tips on how to feel great, confident and shine on a date, showing your true personality! Meika has over 15 years of experience working in fashion, vintage, styling and merchandising. She has worked hands on with individuals, productions, film, television, theatre and the fashion design industry. Let her use her powers of styling to help you fall in love! Donald Gallagher has been on the front lines fighting for love since the 60’s! If anyone can help you find love in Trump’s America, it’s Donald! Confused and not really sure what to do in your dating life? Local celebrity, Donald Gallagher makes everything beautiful! 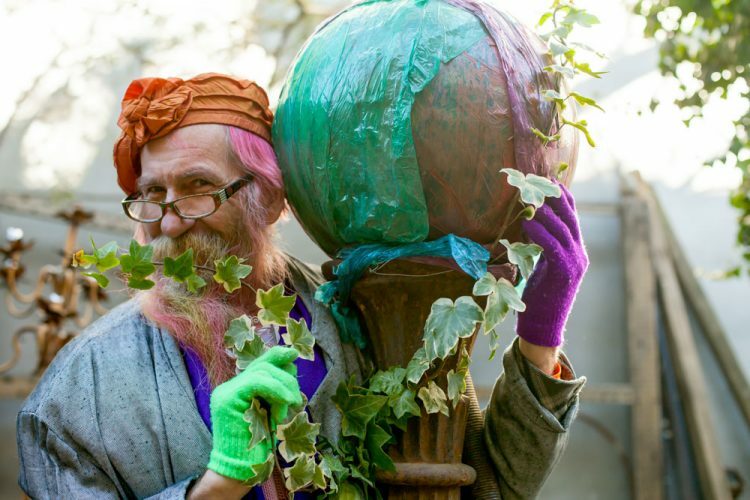 Not only is he the painter who restores the historic walls of Grace Church on Erie Street, he’s an original member of the Radical Faeries, a queer movement that began in the 1970’s, He also sings bass in The Reverend Billy’s Church of Stop Shopping. All this singing and fabulousness has earned Donald an honorary doctorate in the arts of love. According to Lauren Quigley, who made the trip from Queens to Jersey City to attend the event last year. “Talking with Donald really was reassuring,” “I had been going through some personal issues and his kind heart and warmth made me feel appreciated and loved. It’s like he knew me for years.” Sit down with Donald and buy him some spirits so he can lift yours! Leah Guy will help you balance your chakra, and bring love energy into your life! Is your energy off? Don’t bother with PSEG! Leah Guy, the owner of Modern Sage in Jersey City is a transpersonal healer with over 20 years experience, as well as the author of “The Fearless Path; A Radical Awakening to Emotional Healing and Inner Peace” due out in May. She’ll be giving Chakra Readings for $5! “I never thought I’d be doing Chakra Readings at a bar,” she said, referring to our first Love to Love Ya event in March 2016. “But last year, the line was long and energies were flowing! I always love helping people understand their strengths and imbalances so they can be empowered in love and life!” For $5, Leah will be offering chakra readings and consulting with people on energy imbalances and how to get their mojo back. It’s a bird! It’s a plane! It’s The Vagilante! Bringing love where ever she goes, she’ll help you get your loving thoughts down on paper! Admiring a potential twin flame from afar? Jersey City’s own Vagilante is here to save the day! Sit down with The Vagilante and the super hero of love will help you write a love letter destined to knock anyone off their feet and into your arms! After imbibing some cocktails and getting stellar advice, head downstairs to the “Kitten Disco” party in the wine bar hosted by Kristina Acevedo and Leticia Chica. The party promises to be super glam, punk and hip, with lots of female 90’s bands, super dancey and super fancy. And don’t forget the wise words of Daniel Johnston, “Only if you’re looking can it find you, true love is searching too…” We can help you get there! More info? Email us at info@honeyandmoonphotography.com!